Remember the article from last week about the provision in PayPal's User Agreement allowing itself to robo-call and robo text users for any reason? The FCC warned PayPal Thursday that the provision appeared to violate federal law. "If PayPal plans to make autodialed, prerecorded, or artificial voice calls or text messages to its customers, please be aware that federal law places strict limits on such communications. For more than two decades, federal lawmakers have sought to protect consumers from harassing, intrusive, and unwanted calls and text messages." The New York Attorney General's office also sent letters to both eBay and PayPal about such provisions. 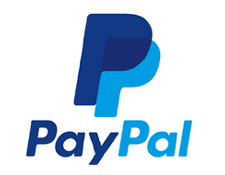 The St. Louis Post-Dispatch, which first reported the issue, said the PayPal / eBay terms of agreement included the warning, "Standard telephone minute and text charges may apply if we contact you" - a case of adding insult to injury. The FCC said violations of the Telephone Consumer Protection Act and could subject PayPal, its affiliates, and its service providers to penalties of up to $16,000 per call or text message. Interestingly we noticed there were reports of eBay making robocalls to customers in 2010 - we're not sure if eBay still does. While the FCC believed it was a new provision, a PayPal spokesperson had told us it was not new, and in its blog it made it clear, "This is not a new section in the User Agreement." PayPal stated in its June 5th blog post about the issue (before receiving the FCC's letter), "We value our relationship with you and have no intention of harassing you." However, the provision grants PayPal permission to give collection agencies the right to robo-call and robo-text its customers - and collection agencies aren't known for self-restraint. It's interesting that law enforcers reacted so quickly and so strongly about this particular issue. There have been other issues where eBay or PayPal have forced users to opt out of a particular policy rather than allowing them to opt in (the provision about opting out of the arbitration clause comes to mind), but generally such policies don't attract attention. Look for more information in Monday's EcommerceBytes Newsflash, and let us know if you've been robo-called or robo-texted from any ecommerce companies. The LEAST of PreyPal's and ebafia's legal transgressions and a tiny little drop in a very deep bucket. How about going after these patently criminal entities for widespread consumer theft, deception, and fraud? This hasn't been a good week for eBay and PayPal. Five less than flattering articles in Seeking Alpha and elsewhere, and now a reprimand from the FCC. Finally others are figuring out what we sellers have known for years. Glad to see what goes around comes around even for eBay even if it takes a while. And THE HITS JUST KEEP ON COMING! What? How dare the FCC talk to eBay/PayPal in such a disrespectful manner. Does not the FCC understand that Johnny Ho and his wife have friends in high places and that therefore eBay and PayPal are above the law and may do whatever they like whenever they like? Got my popcorn popped and ready for the show. I've read several articles on this - glad media have picked this up. The NY Atty General Letter is interesting - Ina has a link above. The implications, if companies adopted that en masse are enormous. Just one more way (besides crappy ear torture music and phone systems from hell) to discourage customers from actually calling you when a problem arises. eBay deserves every bit of bad luck it gets. It's karma for all the theft it facilitates ! If any regulatory authority really wanted to do something to protect consumers from eBay they need to look no further than at eBay’s demonstrable, calculated facilitation of Search. People pay to list goods, but search is manipulated by various factors set by Ebay. I agree with boardwalk that ebay's search manipulation is illegal since we do pay and have a reasonable expectation that our auctions will be searchable. I want to see pace306 letter to AG so I can send similar ones. I set my email settings in eBay to not get email advertisements of their listings and I was taken to a "thank you, you have unsubscribed" screen but it's been over a month and I'm still getting these unwanted spam emails from eBay. I have gotten Robo Calls from ebay--not extremely recently but certainly more recently than 2010!! I have also gotten calls from ebay where I cannot get the caller--a live person--who--ironically--was speaking good old fashioned AMERICAN ENGLISH!! !---OFF the phone no matter what. They wanted to talk right THEN; I did NOT; they wanted me to tell them WHY I could not talk---it just so happened that I was in a thrift store shopping FOR things to RESELL-=-ON EBAY. Nothing I could say could deter them and I was not able to get out side easily as I had a kid and a bunch of merch! I don't want to get booted out of stores I use to source things--because EBAY CALLED and wouldn't SHUT UP! I have also had them call and when I TELL them WHY I am not overly HAPPY with ebay--they ARGUE with me! Feels like living in Bizarro World. I too would like to see PACE306's letter to the NYS Atty General--PLEASE INA!!! !---as I live in NY and I have written and gotten little but a form letter back and of course no action has ever been taken. This is a step in the right direction BUT--annoying as these Robo Calls are---there is FAR more WRONG with both ebay and Paypal than just this---the REAL problems--fraud; restraint of trade; false advertising---etc--are still very much in evidence. Who ya gonna CALL???? @Comet - don't cell phones have a button to hang up on a caller? This doesn't apply to me thank goodness since I have no cell phone. I do hate the newest way of making calls that get around the do not call list and that is ones to my land line made by a computer which of course you can't tell them to not call this number again since who wants to listen to the whole spiel to get to hopefully a spot where you can tell them to not call again? That and why do politicians have permission to bother us any time they want and the do not call doesn't apply to them? Reminds me of Animal Farm where all animals are equal but some (the pigs) are more equal than others! I do hope that once they start peeking into Ebay/PP they will maybe get some of the awful things they are doing taken care of, but I don't count on it. I have both the letters sent back to me by both the NY & CA attorneys general about eBay. Those are what I was referring to into offer to Ina. They aren't as juicy as we all would like LOL) and my complaints were about other things then this. It's hard to be worried about robo calls when eBay is busy stealing from you via listing fraud, forced returns fraud and other horrid and illegal things. I'm hardly "the one" that caused them to investigate eBay, but I felt that my writing in and complaining "was the least I could do"! I did also write into Elizabeth Warrens office, but as of yet haven't gotten a reply. PLEASE STOP ALL POLITICIANS CALLING MY NUMBER IN A HARASSING MANNER. I can't even answer my own phone during "Political Season" without it being some nit wit with stupid political garbel. I pay to have a PRIVATE NUMBER only to be invaded by as many as 10 CALLS A DAY for up to 12 WEEKS before an election. Some calls as late as TEN O'CLOCK AT NIGHT ! ! ! ! Please DO YOUR JOB and Fend Off / Protect us from these empty heads. We have a land line hooked to a answering machine locked in a lower cabinet wrapped in plenty of sound deadening material. The only reason we have this phone is because of the alarm system we have. Nice when you live in a very rural area. When this phone rings we never hear it. It is also used as a phone number for fleecebay, paypal etc. All those nasty companies that insist on your phone number. Our household regular phone is a cell phone where we block anything unwanted. This number is never never given out to anyone but family. So paypal, ebay or anyone who got our phone number from fleecebay go ahead an call us anytime you want. We will pick up if we hear ya. Our phone is bought and paid for by me each month and is my private piece, not something to be abused by the morons of ill moral companies. The first thing these government agencies need to do is put a stop to this user agreement nonsense. These companies use them as a form of coercion and it is wrong. They seem to think that they can do anything they please, and if customers do not agree to their ridiculous terms, then they can kick them to the curb. I agree with Ming. This is a tiny drop in the bucket. Pace306 says " It's hard to be worried about robo calls when eBay is busy stealing from you via listing fraud, forced returns fraud and other horrid and illegal things." Amen to that! What do mere laws mean to the corrupt Two-Headed Monster? PayPig gives ITSELF permission to robocall, in violation of federal laws? No biggie, right? Interesting that PayPig sics collection agencies on its members, eh? How many debit balances are the result of eBay/PayPig stealing money to issue refunds to scammers? I've recently had to fight two SNAD/INR disputes that were groundless. PayPig eventually restored my balance but not without a fight. I had to call them after tracking indicated the "INR" item had in fact been delivered. They put my account in negative balance and were demanding update to "backup funding source." I must say I do like the moniker PayPig. It seems so fitting.